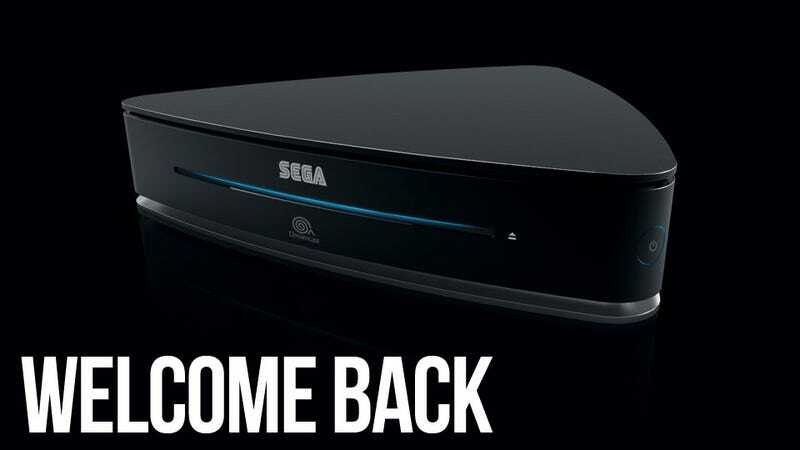 When Sega pulled out of the hardware race over a decade ago, it meant the poor little Dreamcast never got the successor it deserved. Well, aside from the Xbox. That hasn't stopped French industrial design student Elie Ahovi from conceptualising what a Dreamcast 2 could have looked like. Being an actual industrial designer, and not a disgruntled and cranky old Sega fan, Ahovi applies a little more thought to the process than simply "oh that looks good enough", lifting the dominant shapes and lines from the design of the Dreamcast and its controller and turning them into something a little more contemporary. After which he goes bonkers with the blue sky technical wizardry. Scroll through the gallery above to see the project in full, as there's been quite a lot of thought put into not just the console's appearance, but its functionality as well.